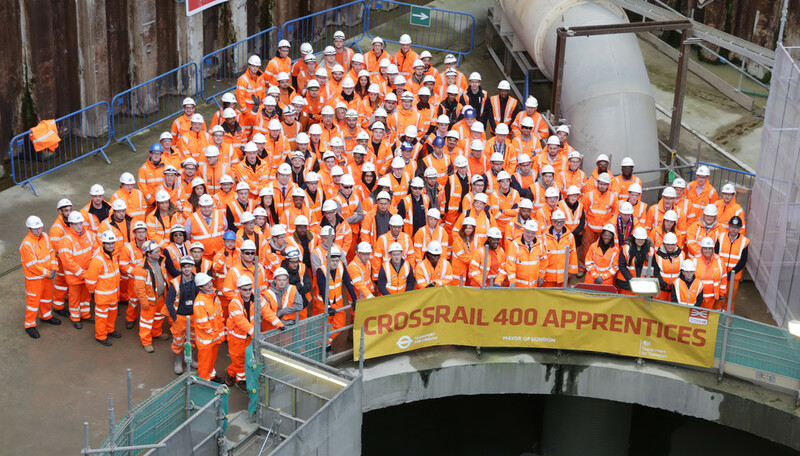 Crossrail creates 400th apprenticeship - Crossrail . For information about the Elizabeth line please visit the Transport for London website. 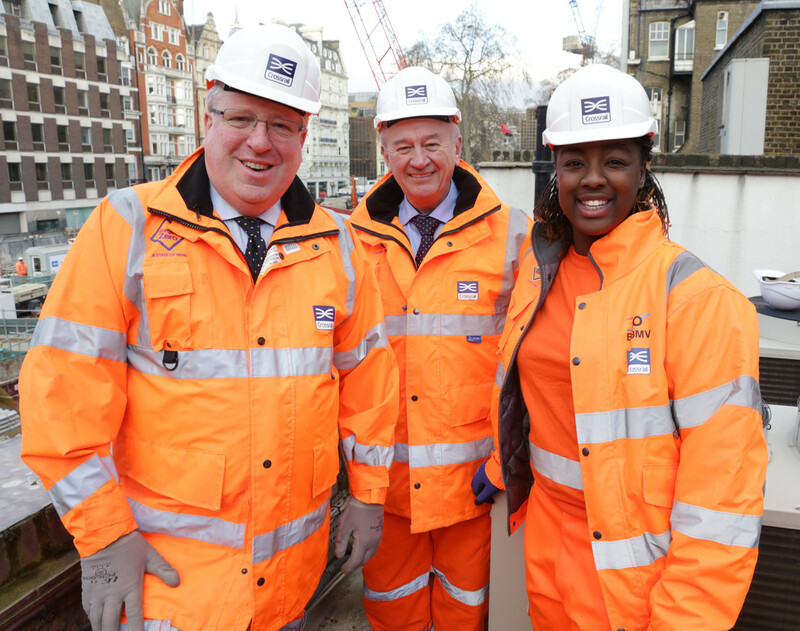 Crossrail has created its 400th apprenticeship; the milestone was celebrated by Patrick McLoughlin, Secretary of State for Transport, when he visited the Bond Street Crossrail site. 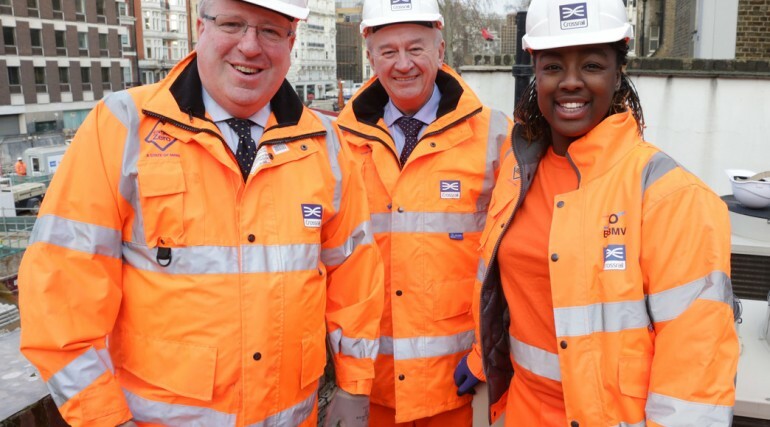 Patrick McLoughlin, Secretary of State for Transport said: “Crossrail is the biggest construction project in Europe and shows UK engineering at its best. I am delighted it has created so many opportunities for young people in civil engineering and construction. Crossrail’s 400th apprentice is Fatima Alghali, 23, from Denmark Hill in southeast London. Previously a sales negotiator at an estate agent in London, Fatima now works for contractors BBMV as a Commercial Apprentice at Whitechapel and Liverpool Street stations. Crossrail committed to delivering at least 400 apprenticeships over the lifetime of the project. Around two in five (44%) Crossrail apprenticeships have been filled by people that were previously not in work; a figure that’s double the UK average. They have been trained in a range of professions from construction to accountancy, quantity surveying to business administration. More than 40,000 people now start an apprenticeship every year in London. Boosting youth employment is a key priority for the Mayor and apprenticeships are one important way to achieve this. Since April 2009, Transport for London and their suppliers have created over 5,000 apprenticeship roles. While many of the apprentices are in London, a number are employed across the UK as a direct result of TfL contracts with other businesses. Apprenticeships are at the heart of the government’s drive to equip people of all ages with the skills employers need, giving them a chance to reach their potential and achieve a successful career. The government has fulfilled its commitment to starting two million apprenticeships in this Parliament. As part of this drive, construction is well underway on the multi-million pound national training academy for rail engineering funded by the government to serve as a hub for skills development in traction and rolling stock. EngineeringUK estimates that 2.56 million additional engineering jobs will be created between 2012 and 2022. The demand in engineering skills is in part being driven by an unprecedented level of planned infrastructure projects such as the Northern Line Extension and Thames Tideway. 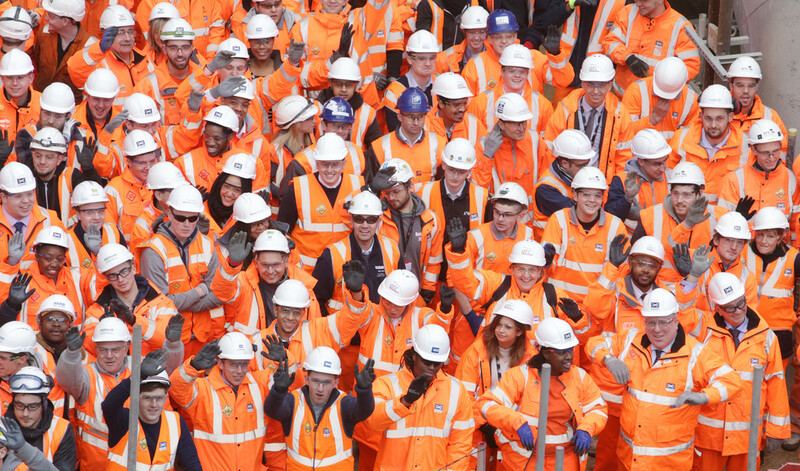 More than 10,000 people are working directly on Crossrail. Over the course of the project, it is estimated that Crossrail and its supply chain will support the equivalent of 55,000 full time jobs across the country. A total of 84,300 jobs were supported last year across the UK, through TfL's investment programme and Crossrail. Providing meet the contractor days where job seekers and local residents can meet Crossrail contractors and hear about the latest jobs. 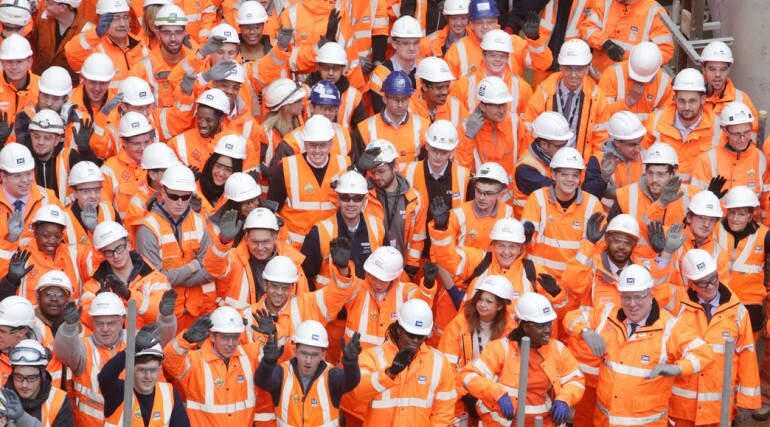 More than 1,000 unemployed jobseekers have secured jobs on Crossrail. When Crossrail opens it will increase London's rail-based transport network capacity by 10%, supporting regeneration and cutting journey times across the city. TfL will start running Crossrail services through central London in 2018, the route will be fully integrated with the TfL network with stations staffed at all times. The total funding available to deliver Crossrail is £14.8bn. The Crossrail route will pass through 40 stations and run more than 118 km (73 miles) from Reading and Heathrow in the west, through new twin-bore 21 km (13 miles) tunnels to Shenfield and Abbey Wood in the east.